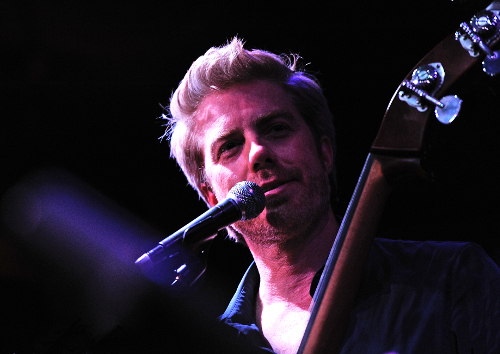 Having completed nearly two decades on the live circuit, Kyle Eastwood has carved out a fine reputation as a jazz performer. At the last of four consecutive sell-out nights at Ronnie Scotts, I saw why. I was a smidgeon apprehensive as I arrived at the central-Soho location in case the set was entirely pure jazz, but my apprehension was short lived with the band presenting a wide range of material, Kyle’s writing as entertaining as it is varied. And there were no pretences here. Despite being the son of one of Hollywood’s biggest all time A-listers Clint Eastwood, Kyle strides onto stage after his support band finish, unaided, to set up his own band’s equipment. A quick solo sound check on his double-bass leads to a small round of applause from the front row and he bows dramatically in jest, his wide grin visible under his mop of blond hair. He started as he meant to go on, friendly and engaging throughout his set, undisturbed by a rather amorous audience member who had drunk a few too many sherries. ‘Oooh Kyle,’ she kept heckling, suggestively. ‘I don’t normally have that effect,’ he quipped, endearingly (If you’re unfamiliar with jazz clubs, you should note it not considered acceptable to make any noise during the performance, a major no no). ‘It is always an exciting time for us to come back to play at the world’s most famous jazz club,’ he continued, whipping the otherwise-calm and well-behaved audience up into an explosive round of whooping and applause. Ronnie Scott’s sells for multiple reasons. It has hosted the world’s best jazz and blues artists since it opened in 1959. And its reputation now sells itself. This was Kyle’s third foray at the club, returning to perform tracks from his album Time Pieces, released last year, which includes music written for his father’s Japanese American war film, Letters from Iwo Jima. This is ahead of his next release Candid Kyle in September, which he enigmatically didn’t mention during the show. He led the five-strong band through catchy-upbeat be-bop numbers, which featured the most stunning brass harmonies. The tempo changed dramatically for the theme to the film Letters from Iwo Jimo, played as an eerie yet beautiful piano and double-bass duet. Kyle lifted the crowd to finish with a Brazilian/West African influenced track before discreetly being told he’d overrun and had to finish. Clearly, no-one messes with the floor manager at Ronnie’s Scott’s. Not even Dirty Harry’s son. 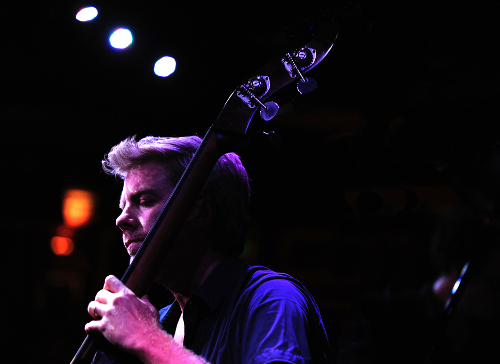 -The Kyle Eastwood Band features Kyle Eastwood on double-bass and bass-guitar, Andrew McCormack on piano, Quentin Collins on trumpet, Brandon Allen on Sax and Chris Higginbottom on drums. 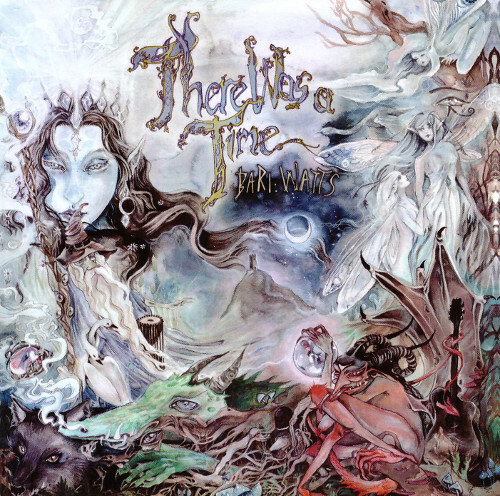 –Time Pieces was released in April 2015 on the label, Harmonia Mundi Jazz Village Music. –Candid Kyle will be released in September on Candid Records. Bari Watts is a superlative guitarist in his own right and the purveyor of much psychedelic heavy rock, principally with his former band, the criminally overlooked Outskirts of infinity. On this 2015 release he reins in the Hendrix inspired excess and lovingly recreates the Marc Bolan vibe, with an album populated by elves, dragons, wizards and hurdy-gurdy men. If you are in any way familiar with the work of the late Bolan, with all its attendant imagery and naive poetic license you’ll know that his early work was inhabited with phantasmagorical imaginings and all things fairytale, perhaps it’s true, the drugs were better back then. Bolan like his contemporary, David Bowie, shone like a sexually ambivalent glitterball in an austere prog-rock landscape. It was as if he was translating The Lord of the Rings into rock ‘n’ roll; with relatively simple riffs and adornments he created musical worlds of enduring beauty and originality. Watts is obviously enamoured by Bolan’s work and has set about trying to capture those crazy, fantastical hippy-vibes. 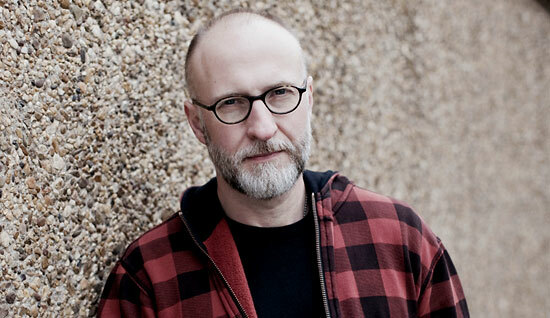 It could have been a disastrous ambition but he pulls it all off with such consumate ease it’s a bloody joy to behold. With Woronzow labelmates, Adrian Shaw and Nick Saloman (aka The Bevis Frond) they enter Mordor armed with some hot love and with stars in their (receeding) hair. On Crystal Pagoda and Karenza (My Lady Love) in particular he sounds so like Bolan you might be forgiven you were listening to some of his late 1960s unreleased demos. Watts has got that tremulous vocal mannerism down to a tee and with sympathtic backing vocals and eastern percussion it’s a glam rock wonder to listen to. From the laid-back whimsy of Here Be Dragons to the happy clappy Ratskull, to the proto-punk of Demon Love this is so much more than mere copyism. It is homage of the highest order. An absolute joy……Bang a gong, get it on! For more information about Bari Watts visit his Facebook page here.